The rising death toll from opioid addiction has galvanized a federal response and a strategy is taking shape. But, as many have pointed out, the ground battle against opioids will not be fought in Washington, but far beyond the Beltway in communities where the ravages of addiction are costing lives and destroying families and businesses. In an encouraging development, HHS recently announced $350 million in new funding for community health centers so they can expand their work on the front lines of this national epidemic. Indeed, health center waiting rooms were filling up with patients needing help with substance use disorders long before opioids made national headlines. Patient visits for behavioral health services, including mental health and substance use disorders, have grown by 83% since 2010. Health centers are not the only providers getting squeezed by a demand for services. The entire healthcare system bears the costs related to consequences of addiction and substance use disorder. Nearly one-third of all hospital costs are linked to addiction and substance use, according to the Centers for Disease Control and Prevention. Moreover, the country is experiencing increased rates of neonatal abstinence syndrome (newborns with withdrawal symptoms), hepatitis C infections and HIV along with increased emergency department visits and hospitalizations. Despite these heavy costs, not to mention overdose deaths, options for patients to access the support and services needed for recovery remain limited, even for those with health insurance. Yet changes are in the works as the nation recognizes the problem's scope. A case in point is West Virginia, where opioid-related mortality rates are among the highest in the nation at 52 deaths per 100,000 residents. Community Care of West Virginia, a community health center that spans nine counties across the central part of state, operates a pain management center to help patients who may suffer from both chronic pain and substance use disorders. Before patients are granted an appointment with a pain specialist they are screened to assess overall physical health and well-being as well as their support system. For example, does the patient have transportation available to make appointments? Are there medical conditions that require attention? Is there family support for recovery in the home? The center uses naltrexone as the medication in its treatment program, which reduces the craving for opioids. Beyond that, clinicians recognize that effective assistance with recovery could and should involve a plan that addresses addiction management in the patient's real-world environment. Community Care Chief Medical Officer Dr. Sarah Chouinard explains, "My future vision is a treatment and prevention strategy that is more comprehensive than outpatient meetings or even 28-day programs in which we treat the addiction and then release the patients to the streets without any support. Effective treatment leading to recovery is teaching patients how to be strong and healthy, gain survival skills and transition from being drug-dependent to jobs and independence." The West Virginia center is just one of many engaged in treating addiction at its roots. As trusted community providers, health centers understand that substance use is a complex disorder that typically has multiple accompanying health and socio-economic conditions. Health centers are piloting promising and innovative solutions and addressing the factors that lie behind substance use, such as childhood trauma, mental illness, poverty and domestic violence. Clearly, treating addiction requires systemic change in healthcare delivery. We need a new framework. From a patient's perspective, it means being able to move seamlessly across a continuum of care from prevention, to management, to maintaining sobriety. The HIV/AIDS epidemic of the 1980s taught us that the healthcare system can be transformed to effectively address a crisis. Congress should continue to direct federal substance use prevention and treatment funding opportunities to health centers and the CDC. Beyond resources, leaders, policymakers and the public health community must commit to a strategy that not only widens the options for affordable services, but creates pathways for patients with substance use disorders. No one should go without needed care. 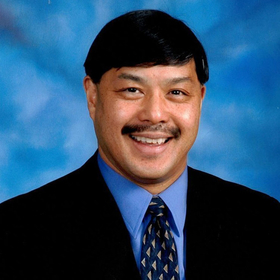 Dr. Ronald Yee is chief medical officer of the National Association of Community Health Centers.